For many years, the pages of AFM and coaching clinics were the primary ways a football coach would learn about new techniques, schemes or systems that were being used by other coaches. That’s all changed with the Internet. Today there are multiple ‘platforms’ available to any coach that wants to share his knowledge and opinions with the coaching community. You can turn to dozens of football websites and find volumes of opinions and ideas on every topic imaginable. Not many are as well researched and written as those by Keith Grabowski, former offensive coordinator at Baldwin Wallace University and longtime contributor to AFM. Grabowski has embraced all modern forms of communication as means of delivering his unique insights on offensive football to coaches everywhere. What sets him apart is the quality of his content, much of which is enhanced with corresponding video. The end result is some of the most comprehensive football educational information available anywhere. Not many writers have contributed more content to AFM in recent years than Keith. He is entering his fourth year as author of AFM’s popular “Managing Your Program” column, where he advises coaches about a wide variety of off-the-field issues. He has written several feature articles and contributed to others such as this issue’s cover story about offensive game planning. Grabowski is perhaps the most prolific blogger in football. His personal coaching blog “Coach and Coordinator” is an extensive collection of educational posts and helpful coaching links. His regular posts on AmericanFootballMonthly.com are highly detailed and informative and often accompanied by video highlights. He is also a featured blogger for USA Football. Keith has produced seven popular DVDs on offense with AFM Videos. He has also published several ibooks. 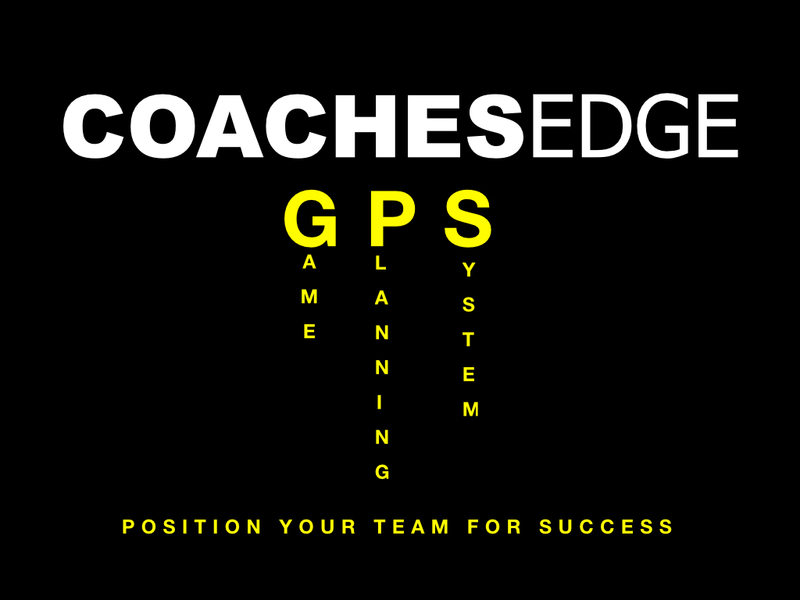 He collaborated with AFM on the Coaches Edge game planning system available on AmericanFootballMonthly.com. Naturally, he uses Facebook and Twitter to communicate with his growing list of football followers. As if his resume isn’t already full enough, he is embarking on a major new project with AFM that will be officially announced shortly. It’s the ultimate educational resource for current or future offensive coordinators – a complete 12-week curriculum on how to be a successful OC, offered online as part of the new AFM University educational service. Watch for more information soon on AmericanFootballMonthly.com, our Facebook page and our Twitter feed. For now, you can keep up with Keith Grabowski, or try to, at AmericanFootballMonthly.com. Virtual reality provides our players with more learning opportunities than we can provide on the field while keeping them safe from contact and collision. It uses a technology that is used to train surgeons and fighter pilots . It’s packaged affordably for the high school level. The possibilities with this are huge. Players play faster when they understand and recognize, and this training platform works to accomplish just that. EON Sports Virtual Reality has developed training software that brings a Madden-like atmosphere to life with 3D virtual reality. Your player can put the headgear on and turn his head viewing the field and the play as if he was right in the game. Research shows that people remember more by doing as opposed to simply watching something. You as a coach should watch game film, but ask yourself, “Are my kids learning anything from the hours of gamefilm they watch?” Film is good. Overdose of film isn’t. 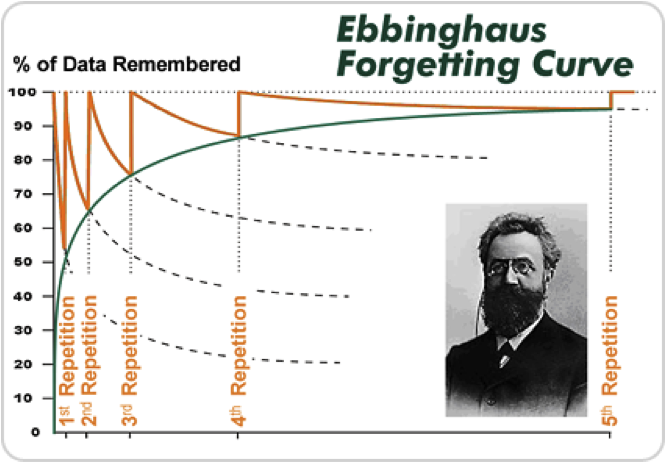 Herman Ebbinghaus studied learning and found a direct correlation to repetition based on active recall (repetition). unfortunately, we have a limited number of reps in practice, and team periods don’t always allow for us to get our back-ups proper repetition. Additional repetition can be provided through the virtual reality technology in EON’s software called Sidekiq. I have this software, and the capabilities and potential for coaching your players now and in the future are tremendous. This is the safest way to get more repetitions thus allowing your players to become proficient and play fast. You need to check this out! EON Sports VR has improved on something that is already great and made it affordable for every program. Gone are the days of trying to explain something 10 times before they get it right. Gone are the days of kids not watching or learning from game-film. Today your job just got a whole lot better. 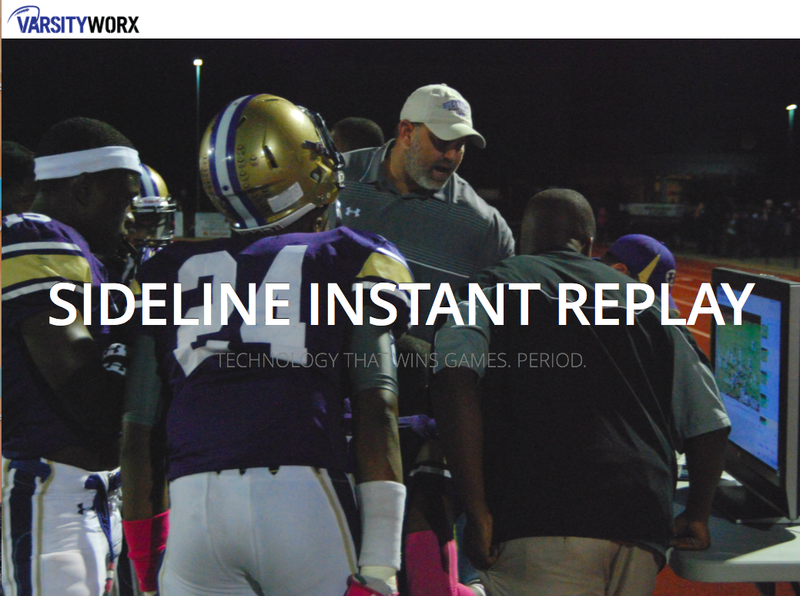 SIDEKIQ, the only football training tool that puts your athletes in real live game action at realistic game speeds, is now compatible with HUDL. Version 2 is now being launched and the biggest upgrade is the HUDL integration. If you’d like to get started for $195 let us know. Contact Brendan Reilly. Mention that you heard about it here. The system is adjustable to create any mix of run or pass ratio you wish to have in practice. Once you make the decisions about what you want in your game plan, enter it in the “game plan board” and the rest of the work is completed for you. Practice scripts, call sheets , and a quarterback wristband are generated for you. You save a minimum of 8 hours per week and have the confidence that you gave your offense enough work to be ready for the situations they will face. Also included are printable work sheets for your game plan preparation, as well as a post game report for quality control. Interesting question: Do coaches prefer: diagrams Playbooks w/ video or just video playbooks?Lucky enough we do both! The diagram is the starting point. It is very much like having a route mapped out to reach a destination where you have never been. You certainly do not know what that route looks like or the intricacies of traffic lights, speed changes, or landmarks. However, once you have driven it a few times, you know , “Slow down here; a cop is usually sitting behind that sign with a radar gun,” or “Turn right at the McDonald’s.” The features of what is diagrammed on paper (or digitally) become apparent to the driver. A diagram acts the same way. It shows exactly where to go though the technique, footwork and adjustments may not be clear. Without a good diagram, you don’t have a clear road map. I like what Just Play Sports Solutions is doing. They are worth checking out. 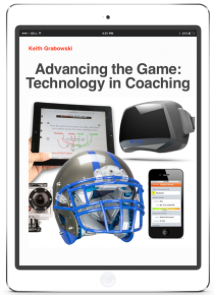 This and other topics on utilizing technology in coaching will be available in an interactive book soon. This is an update to a post I wrote on December 28, 2013. This is an exciting time in coaching. The tools available to us to maximize our effectiveness seem to be developed almost as quickly as we get an idea. I presented a vision for technology being used for immediate feedback. At the time there wasn’t anything available on the mass market, but in under a year, the apps I was looking for appeared. Getting immediate feedback at practice or in the weight room is pretty simple now. Company’s like Varsity Worx provide an outstanding solution for both game day and practice. This is a piece of technology worth checking out. The principle used is a delayed mirror. 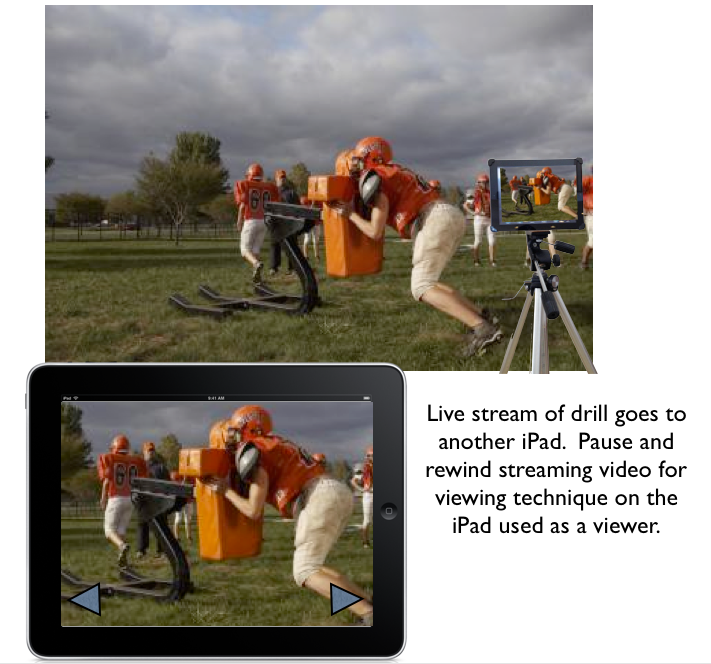 The technology gives the coach and athlete the ability to view the move they just performed on a delayed video loop. 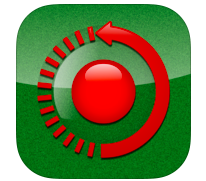 The app continues recording the next repetition or play. While Varsity Worx provides everything you might look for in functionality, there are some simple and cheap solutions available from the app store. With these, an iPad is used (an iPhone can be used too but the playback screen is small). The iPad records the repetition or play. Then the athlete and or coach simply goes around to the back of the iPad to view the repetition. The apps listed have varying capabilities like slow motion or telestration. 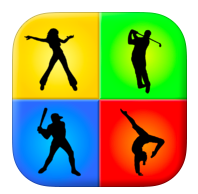 If you have an iPad then the technology is available for you to use immediately for $2.99-4.99 if your booster club or program budget won’t allow for something like Varsity Worx. The apps are probably only good for individual practice segments, but that is where we are trying to prefect technique anyway.